How does (or should) one regard the work of innovative or experimental poets whom one has been reading for nearly forty years? The question is, to be sure, something of a mare’s nest — not one question but several, starting perhaps with the old problem of whether the terms “modernism,” “avant-garde,” or even “art” itself are not inherently defined by term limits. The artist Lawrence Weiner once said: “When my work is assimilated into the art context, it will change something. I hope it won’t be considered viable living art in ten years. … As what I do becomes art history the minute culture accepts it, so it stops being art.” The short happy life of a gallery show trumps the relic at the Met. Or, alternatively, imagine a museum of contemporary art that periodically removed artworks from its holdings, repairing them not simply to a basement but to an alley where the recycling truck stops by on Mondays, perhaps to convey the remains to a salon des refusés. Naturally there is the issue of who decides when the time of an artwork, or of a certain way of producing such things, is up. Artists, curators, and dealers, not to mention critics and historians, have their variable templates. An elderly reader may not be the one to ask about the work of his or her contemporaries, unless one is in a retrospective frame of mind. 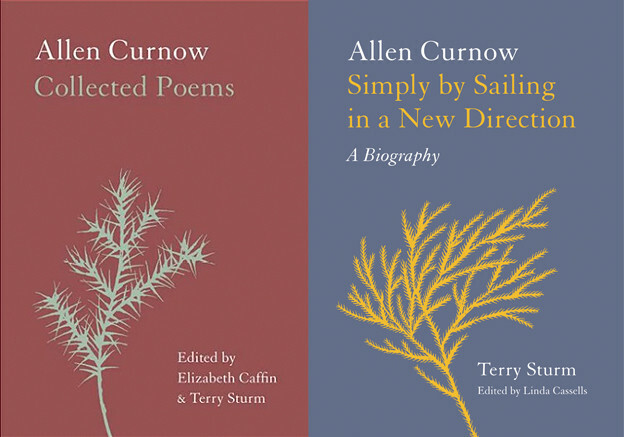 Here are two collections of essays by poets whose long and distinguished careers provoke (and even pursue) this terminal line of thinking. In Radical Coherency David Antin (b. 1932) gathers together his critical and reflective writings on art and poetry of the past forty-five years, opening a looking glass on the development of his own poetry during the crucial period of the 1960s and ’70s in which the experience of art (as Antin figures it) was characterized by the exhaustion of one kind of Modernism — the abstract or formalist tradition championed by critics like Clement Greenberg and Michael Fried — and the recovery of another that required the reconceptualization of such matters as representation, narrative, and performance. This rethinking is basically the critical task that holds Radical Coherency together. Meanwhile, in Attack of the Difficult Poems, Charles Bernstein (b. 1950) assembles some of his recent writings on poetry and poetics, in each of which one nevertheless encounters the distinctive terms and concepts (“materiality,” “particularity,” “the ordinary”) that Bernstein has advanced over the years in Content’s Dream (1986), A Poetics (1993), and My Way: Speeches and Poems (1999). Indeed, one can read Attack as a companion piece to Bernstein’s recent retrospective arrangement of his poetry, All the Whiskey in Heaven: Selected Poems (2010), in which we can study both the diversity and consistency of his work from Asylum (1975) to Girly Man (2005), where the material of Bernstein’s poetry — “the transcription of spoken, everyday language” — proves to be formally open-ended for the simple reason that the everyday is not a style or a period but is made of vernaculars in a perpetual or anarchic state of innovation. Starting out in the 1960s, Antin’s writings on art include pieces on (among others) Andy Warhol, Alex Katz, Robert Morris, and Alan Kaprow. Each feeds into a wide-ranging essay from 1971, “It Reaches a Desert in which Nothing Can Be Perceived but Feeling,” where Antin makes his case that Abstract Expressionism has long since run its course and that it is time to start the history of art over again, principally by developing a new concept (or at least defense) of representational and figurative art, not so much to reduce the artwork to its “aboutness” as to come to terms with such “nonformalist movements” as Pop Art, Minimalism, and Happenings in which the artwork is as much an event as an object — an event characterized by a recontextualization of things, images, and actions from the lower (popular, commercial, industrial) end of the cultural scale, or for all of that from the transient materials that keep ordinary life on its day-to-day course: “Light, Air, Water, Food, Heat, Shelter, Transport, Rest.” A good example of “material” art would be one of Robert Smithson’s earth projects like “Spiral Jetty,” a landfill that circles out into Utah’s Great Salt Lake, and which comes and goes over the years as the water levels of the lake periodically rise and fall. What is particularly innovative about staging of such basic materials is that the so-called artwork that results is no longer reducible to genre-descriptions or, indeed, to any description that is not local and contingent in its application. Definitions, categories, and distinctions evaporate before they hit the ground on which the artwork takes its turn. Antin gives a nice twist to this idea in “FINE FURS” (1992), which describes an event in which he arranged for one of his poems to be written in the air by skywriters. For the record: “Skypoems are gone in twenty minutes” (302). The experiment, it turns out, is a form of iconoclastic protest against the institutionalization of “public” art (the kind that gets preserved in various urban centers — picture the Picasso in the Daley Plaza in downtown Chicago). “I don’t think public art installations should be permanent,” Antin says. “I think they should be wreckable. I think we should have a ceremony of destruction and remove them regularly” (303). Antin recalls that he once proposed this idea in a talk at an architectural college; his suggestion (“that the problem of architecture is not how to make it, but how to get rid of it”) was not well received (304). Just so, Robert Morris (b. 1931) appears to be the key figure in Antin’s thinking, chiefly because of his (Morris’s) capacity for reinvention, which is to say his anarchic resistance over several decades to any rule of identity. In “Have Mind, Will Travel” (1994), Antin traces Morris’s career from his abstract paintings of the early 1960s through his various experiments in minimalism, conceptualism, and performance art, culminating in his 1990 show at the Corcoran Gallery, “Inability to Endure or Deny the World,” which featured large assemblies of images “drawn from a mélange of art history, popular magazines, and older works of Morris himself” — images whose elusive significance “is further complicated by the elliptical texts with which they live in often enigmatic relation” (Radical, 116–17). For example, the exhibit included Morris’s “Investigations Series,” twenty-four graphic-on-vellum drawings, each of which is scored by a citation from Ludwig Wittgenstein’s Philosophical Investigations. The drawings depict historical events and iconic figures — the Army-McCarthy hearings, a famous photograph of Julius and Ethel Rosenberg during their trial for espionage, even Jackson Pollock hurling paint at a canvas on the floor. What emerges from Antin’s portrait of Morris is the figure of “a restless, ironic and intellectual artist who engages with whatever surrounding discourses happen to interest him and leaves them as soon as they cease to interest him” — someone very different from the more settled artist (Antin mentions Donald Judd and Sol Lewitt) “whose works consist of a single stylistic gesture that is allowed to unfold over a wide field of manifestations” (Radical, 119). Morris is, whatever else he is, a “nomad” — a term that recalls Gilles Deleuze and Felix Guattari’s concept of nomad aesthetics in which the work of art is serial or segmental, made of “lines of flight” rather than parts subsumed by a whole. Interestingly, Deleuze and Guattari regard nomad art as distinctively American rather than European in character in the sense that the nomadic work is “rhizomatic,” like Whitman’s Leaves of Grass, rather than an “arborescent” totality like Mallarmé’s Grande Œuvre, in whose formal principles every possible poem is already implicated. At the same time, however, nomadic art is nonexclusionary: at the level of the “local and contingent,” that is, in the absence of any “universalist claims” or taboos, there is nothing that cannot be counted as art, unless it is just that which persists in work after work as a single-minded and predictable “trajectory of intention” (Antin, Radical, 100). Hence the virtue of Allan Kaprow’s Happenings — “colloquial” events in which “triggering concentrated, self-conscious reflection on any action undertaken, say vacuuming a floor or brushing one’s teeth, will become a way of making art” (149). The idea is to guard against “persistence” (100–101). In “Modernism and Postmodernism: Approaching the Present in Modern American Poetry” (1972), Antin notes that “For better or for worse, ‘modern’ poetry in English has been committed to a principle of collage from the outset” (170). But by the 1950s this principle had been displaced by the closed forms that characterized the poetry of Robert Lowell, Randall Jarrell, and Theodore Roethke, among others. Antin locates his own beginnings as a poet with (or near) the “return of collage Modernism” in the work of Charles Olson, the Black Mountain poets, the Beats, and the New York School, whose “enlarged repertory of possibilities” (185) produced the return of the long poem, that is, the serial poem that has neither archē nor telos but is always in a process of departing from itself — “beginning again and again,” in Gertrude Stein’s famous description of open form. It was, Antin says, “the specific claim of modernism to be finally and forever open” (Radical, 162). The question is whether “finally and forever open” isn’t an oxymoron, or at least a kind of endgame in which things eventually fade to black. Antin cites passages from Olson, Frank O’Hara, and Allen Ginsberg with considerable affection, but he finds ways to hold himself apart from them: as he says in a conversation with Charles Bernstein, he felt closer then (and now) to Jackson Mac Low’s “performance poems” and John Cage’s “Lectures.” Likewise, in “Some Questions about Modernism” (1974) Antin emphasizes the paradox of “collage Modernism,” namely that it was generated by a “hostility to arrangement” that “led some artists into a hostility to collage [itself], because they saw collage in terms of its multiplicity of pieces. They reasoned quite correctly that if there are pieces there is arrangement, and all arrangements, no matter how ‘random,’ are apprehended as some kind of order, because randomness is conceivable but not perceivable” (Radical, 213–14). To which Antin decisively adds: “Personally I share this distaste for ideas of arrangement and I don’t think anyone can be very interested in doing collage work now, mainly because of the predictability of its effect” (214). Indeed, for Antin the real importance of “60s Modernism” was not so much its recovery of the principle of collage as its “neo-Romantic sensibility,” which included, among other things, “the underlying conviction that poetry was made by a man up on his feet, talking” (194). In the end what came to interest him, Antin says, was (and remains) something more self-reflective: namely, the kinds of coherency that develop “out of the way the human mind works as it faces the exigencies of everyday life” (236). Specifically, what Antin wants to know is how the mind works when it’s not doing mathematics or playing chess or, for all of that, making art. Doing Dada cutups and assembling them now one way, now another, certainly counts as a way of making art. But Antin finds a more compelling challenge in trying to make sense “out of someone’s most conventional narrative” (Radical, 237) — an anecdote, for example, which is a form of vernacular storytelling that circulates at the level of everyday life rather than at the level of grand narratives that gather things together from some end-of-history standpoint. Narrative at the level of contingency is a radical form of coherency, which is neither a logical construction nor an aleatory assemblage but an account of events that, however they ramble or drift, have the virtue of “mattering” to somebody (262). This is the upshot of Antin’s “The Beggar and the King” (1995), which is an attempt to construct a conception of narrative that goes against the grain of narrative theory, whether the classical Aristotelian version in which things come to term for a reason (plot), or the more dubious structuralist idea that all narratives are rule-governed systems whose events matter less than the relations that synchronize them into something intelligible. Antin gives brief honorable mention to Paul Ricoeur’s phenomenological conception of narrative, and even borrows Ricoeur’s idea that “reconnecting subject positions across the gulf of change is what constitutes the formation of self.” But his own standpoint is that narratives (when they work) work like dreams insofar as dreams are narratives that cannot help mattering to us — imagine a dream that the dreamer does not find absorbing in the course of its development, however fragmentary or bizarre it might be. For “the goal of narrative is to make present, not to make intelligible, and a dream is nothing if it is not a making present of an anticipated future and a remembered past in which we always have a definite stake” (Radical, 263). Against a whole army of eminent philosophers of narrative (Martha Nussbaum and Alasdair MacIntyre come to mind), Antin’s final line of his essay is an emphatic thumb in the eye: “Narrative explains nothing” (270). Just so, in Antin’s talk poems, anecdotes are ways of thinking by examples rather than according to logical procedures. Anecdotes come into play, as Wittgenstein would say, when explanations come up short, as inevitably they do. Recall Wittgenstein’s idea that logic “seeks to see to the bottom of things,” whereas “[w]hat we want to understand [is] something already in plain view” (§89) — as, for example, when trying to “explain to someone what a game is.” In such an effort, one “gives examples,” not in order to show what games have in common, but to supply something like a narrative experience of game-playing, making it present as a form of life (§71). This is the line that Antin follows when it comes to the question of how to think about poems and artworks in the absence or misfire of criteria of identification. In “Stranger at the Door” (1987) Antin recalls that this was the question that he and Jerome Rothenberg confronted in their magazine, some/thing (1965–68), when taking up poems as divergent as George Brecht’s Dances, Events, and other Poems, Jackson Mac Low’s Pronouns: A Collection of Forty Dances, translations from Aztec and North American Indian poetic traditions, John Cage’s “Lectures,” and Gertrude Stein’s Tender Buttons. What this heterogeneity of examples generated was a rethinking of genre in terms of Wittgenstein’s concept of resemblances within a large and expanding family, where “the basis of inclusion was affiliation with any subgroup within which a new candidate shared a fundamental feature” (Radical, 253–54). What is crucial here is that for Antin “a fundamental feature” is not a formal marker that situates a work within a class but a productive force — one might call it, after Marcel Duchamp, an “obstacle placed in the path of the mind, temporarily checking it or forcing it out of its former path and compelling it to seek some partial realization” (Radical, 140), or, after John Cage, “an instigation of the mind to the solicitation of experience” (Radical, 254), on the theory that “what you most desire in life is the capacity to attend to no matter what eventuality” (337) — which is what a “talk poet” needs when, as in Antin’s practice, he is someone who seldom settles beforehand what he’s actually going to talk about when he gets to his feet. A tedious schoolmaster might mutter to himself that an Antin “talk” is more rhetorical than poetic insofar as it is an improvisation backed by an inventory of topoi — a vast range of subjects to which Antin has already given thought, or which is simply part of his personal, cultural, and philosophical experience, and from which he selects material appropriate to whatever situation or audience is at hand. Rhetorically, inventio is not formal innovation; it means finding (from all that has been said) what has application in a particular case. As Antin himself says about the materials of improvisation: “There is no such thing as ground zero for any human being who hasn’t suffered brain damage. For any performer there is always some complex of past, future and present relevancy conditions that makes the notion of complete spontaneity an absurdity” (325). Appropriately, Antin concludes “durations” with an anecdote about his visit to his mother and mother-in-law in their retirement community, in which he observes the narrowing of an elder’s memory to a present that lasts hardly longer than one of his Skypoems. Art objects may endure, but duration itself is not an object, although, as a topic, it can be transported to new contexts, which is basically how a talk poet stays on his toes. In “An Interview with Manuel Brito” (1997) Bernstein explained that his poetry is “a mix of different types of language pieced together as in a mosaic — very ‘poetic’ diction next to something that sounds overheard, intimate address next to philosophical imperatives, plus a mix of would-be proverbs, slogans, jingles, nursery rhymes, songs.” In the present volume he characterizes this as “The Art and Practice of the Ordinary” (2004): what he is after, he says, is “an understanding of the social uses of language and the different registers of vernacular language. … What I am trying to do in my own writing is to produce an experience of language as social material, evoking, in the process, material facts about language and rhythms within language that each of us knows as well as our own breath or the thud of our heart or viscosity of our saliva” (Attack, 178–9). friendship pattern, overexcitable in normal situations. The difficulty here, supposing there to be just one, is to explain how it is that a found text (David DeMotte was in fact one of the founders and longtime executives of the Sea World Corporation) becomes a parody of itself when printed in a poem rather than, say, in a newspaper, newsletter, or corporate flyer. One argument is that an “experience of language as social material” is inherently comic for reasons that Mikhail Bakhtin laid out in a famous essay, “Discourse in the Novel” (c. 1938), which contrasted the serious, unitary language of the classical poet (a court figure) with the motley discourse found “on the stages of local fairs and at buffoon spectacles, [where] the heteroglossia of the clown sounded forth, ridiculing … the ‘languages’ of poets, scholars, monks, knights and others, where all ‘languages’ were masks and where no language could claim to be an authentic, incontestable face.” In other words, one way to escape “Official Verse Culture” (“poets, scholars, monks”) is to situate oneself in Bakhtin’s “history of laughter.” Bernstein is happy to place himself in this context. In “Poetry Scene Investigation: A Conversation with Marjorie Perloff” (2003), he says: “One of my obsessions has been to include — fully and faithfully (or is it faithlessly, I always get those confused) — a set of Henny Youngman-style jokes within a poem” (Attack, 247). More to the point perhaps is the question of what actually counts as “difficulty” in the first place. The problem with “Official Verse Culture,” after all, is not just that it makes for easy reading; it reduces composition itself to a course in basic mechanics. The most compelling pieces in Attack of the Difficult Poems — “Invention Follies” (2006), for example — suggest that, when it comes to difficulty, poets themselves are the first responders or, in a classical sense, the first line of defense in poetic communities “where innovation, the new, ingenuity, and originality, perhaps even more than the aesthetic, are vexed terms, jinxed, perhaps ironically, by their own history” (Attack, 33). Bernstein’s idea, much like Antin’s, is to focus on what presents itself in the moment at hand: “What’s needed,” he says, “is a transvaluation of the concept of innovation, so that we can think of innovation in a modest and local way, as responses to historical and contemporary particulars — as situational, not universal. More like the weather — and one’s everyday adaption to it — than like the forward march of scientific knowledge. … Innovation is a constant process of invention in the face of the given” (34). And what is given is, first of all, language, which for Bernstein is structured like the weather, that is, a turbulent complexity refractory to concepts and rules, an environment that cannot be brought under control or reduced to instrumental operations and results. Whence Bernstein’s fluid poetics: “Poetry is turbulent thought, at least that’s what I want from it, what I want to say about it just here, just now (and maybe not in some other context)” (My Way, 41–42). Eduardo Kac, “Tesāo” (1986), first shown in 1985 on the Minitel Network, a precursor to the Internet. Reproduced by permission. Holopoetry belongs to the tradition of experimental poetry and verbal art, but it treats the word as an immaterial form; that is, as a sign that can change or dissolve into thin air, breaking its formal stiffness. Freed from the page and freed from other palpable materials, the word invades the reader’s space and forces him or her to read it in a dynamic way; the reader must move around the text and find meanings and connections the words establish with each other in empty space. Thus a holopoem must be read in a broken fashion, in an irregular and discontinuous movement, and it will change as it is viewed from different perspectives. Think back here to Antin’s objections to persistence, architectural installations, and the tombstone duration of poetic texts. The holopoem is something like a self-innovating system, except that it requires the performative intervention of a reader whose passage through the multiple (third and fourth) dimensions of the poem changes it into something else — something that is nowhere except in the reader’s present. In Bernstein’s terms, it’s hard to imagine a more situational form of innovation or a more local and contingent form of poetry. 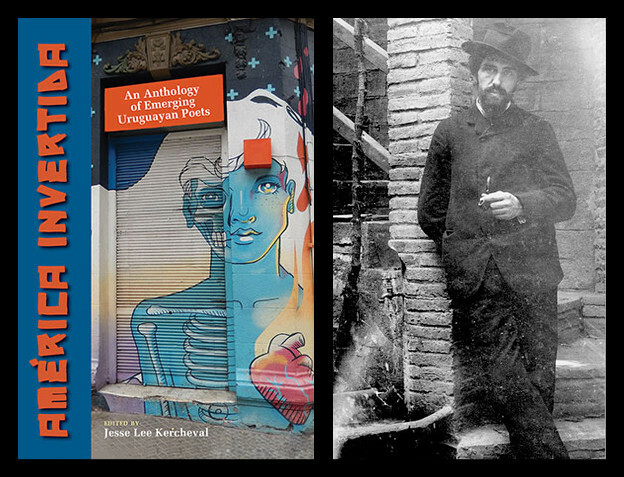 “Nowhere,” Bernstein argues, “are the innovations of both assimilation and disruption more compelling than among the Second Wave Modernists, poets and comics, lyricists and blues artists born between 1889 and 1909” (136) — thanks in good part to the new technologies of the phonograph record, the microphone, and radio. Bernstein gives us some excellent pages on James Weldon Johnson’s “Under the Bamboo Tree,” Paul Robeson’s performance in Porgy and Bess, and especially the great blues artist Charlie Patton, who “overlays his singing with various noise effects that interrupt any continuous melodic production: talking, grunts, inhalations, interjections, improvisatory rather than formulaic repetitions, variations, extensions, and rephrasings, incommensurable switches of tempo, pitch, volume, and tone” (150). In his introduction to Close Listening, a collection of essays by various hands on the acoustical and visual performance of poetry, Bernstein called “for a non-Euclidean (or complex) prosody,” for the point is not so much to produce patterns as to break them, “creating unexpected / spaces between words” and “unexpected sequences of wobbling / sound” — recall Antin’s stand (or move) against “persistence,” or Robert Morris’s “nomadic” itinerary through the art world, or Allan Kaprow’s Happenings, in which an everyday human action confounds its identity by being performed out of context, framed by an alien environment, as when brushing one’s teeth on an urban street, or staging a piece of theater without an audience. 1. Cited by Willoughby Sharpe, “Lawrence Weiner at Amsterdam,” Avalanche 4 (Spring 1972): 71. See David Antin, “Lawrence Weiner: As Far as the Eye Can See,” Artforum 46, no. 1 (September 2007): 156, a retrospective exhibition of some of Weiner’s work at the Whitney Museum, 2007–2008. 2. Recall the story of Robert Rauschenberg’s erasure of a drawing by Willem de Kooning, which he later exhibited as a kind of monochrome. Interestingly, Rauschenberg’s Erased de Kooning (1953) is owned, but not currently exhibited, by the Museum of Modern Art in New York. 3. Bernstein, Attack of the Difficult Poems (Chicago: University of Chicago Press, 2011), 174. 4. Antin, Radical Coherency: Selected Essays on Art and Literature, 1966–2005 (Chicago: University of Chicago Press, 2011), 55–57. See Drucker, Sweet Dreams: Contemporary Art and Complicity (Chicago: University of Chicago Press, 2005), for a spirited defense of artworks that locate themselves within non-esoteric (popular, commercial, waste-product) spheres of material culture. 5. The Daley Plaza Picasso has recently been upstaged by a piece of pop-sculpture on Chicago’s Magnificent Mile, namely a statue of Marilyn Monroe, or more accurately a statue of an iconic image from one of Marilyn Monroe’s films, “The Seven-Year Itch.” As it happens, the Monroe piece, erected in the summer of 2011, will only be allowed to stand until the spring of 2012. 6. Theodor W. Adorno, Aesthetic Theory, trans. Robert Hullot-Kentor (Minneapolis: University of Minnesota Press, 1997), 121. 7. See Terrie Sultan, ed., Inability to Endure or Deny the World: Representation and Text in the Work of Robert Morris (Washington, DC: The Corcoran Gallery, 1990), the volume of essays and reproductions that accompanied the Corcoran Exhibition, esp. Barbara Rose’s essay, “The Odyssey of Robert Morris”: 6–10. 8. Compare this to Morris’s “Blind Time IV: Drawing with Davidson” in Have I Reasons: Work and Writings, 1993–2007 (Durham, NC: Duke University Press, 2008), 41–50, graphic works on paper with citations from the work of the philosopher Donald Davidson. See also, in this same volume, Morris’s “The Art of Donald Davidson” (1995), 51–60. 9. Gilles Deleuze and Felix Guattari, A Thousand Plateaus: Capitalism and Schizophrenia, trans. Brian Massumi (Minneapolis: University of Minnesota Press, 1987), 19. Cf. Pierre Joris, A Nomad Poetics: Essays (Middletown CT: Wesleyan University Press, 2003). 10. Gertrude Stein, Selected Writings of Gertrude Stein, ed. Carl Van Vechten (New York: Vintage Books, 1972), 516. 11. Antin and Charles Bernstein, A Conversation with David Antin (New York: Granary Press, 2002), 96–97. 12. For the sake of contrast, see Joris, “The Seamlessly Nomadic Future of Collage,” in Justifying the Margins: Reconstruction (Cambridge: Salt Publishing, 2009), 7–23. It’s your turn, Roger. The whole world’s not nuts! with just your motor bike for a conscience. 15. Radical, 262. See Paul Ricoeur, Time and Narrative, trans. Kathleen MacLaughlin and David Pellauer, vol. 1 (Chicago: University of Chicago Press, 1984). 16. The spirit of Gertrude Stein rather than Freud or any dream-theorist inhabits Antin’s conception of narrative. Recall “Composition as Explanation”: “In beginning writing I wrote a book called Three Lives. … In that there was a constant recurring and beginning there was a marked direction in the direction of being in the present, although naturally I had been accustomed to past, present, and future, and why, because the composition around me was a prolonged present. A composition of a prolonged present is a natural composition in the world as it has been these thirty years it was more and more a prolonged present” (Selected Writings, 517). 17. Antin, talking at the boundaries (New York: New Directions, 1976), 8. 18. Ludwig Wittgenstein, Philosophical Investigations, trans. G. E. M. Anscombe (New York: Macmillan, 1953), §87. 20. Antin, Selected Poems: 1963–1973 (Los Angeles: Sun & Moon Press, 1991), 65. 21. Antin, tuning (New York: New Directions, 1984), 84. 22. Antin, what it means to be avant-garde (New York: New Directions, 1993), 81. 23. Bernstein, All the Whiskey in Heaven: Selected Poems (New York: Farrar, Straus, Giroux, 2010), 36. 24. Listen to Bernstein’s “performance” of “Amblyopia” on PennSound. 25. Bernstein, My Way: Speeches and Poems (Chicago: University of Chicago Press, 1999), 25–26. 26. Mikhail Bahktin, The Dialogic Imagination: Four Essays by M. M. Bakhtin, trans. Caryl Emerson and Michael Holquist (Austin: University of Texas Press, 1981), 273. 27. See Bernstein’s “Comedy and the Politics of Poetic Form”: “For I am a ventriloquist, happy as a raven to preach with blinding fervor of the corruptions of public life in a voice of pained honesty that is as much a conceit as the most formal legal brief for which my early education would seem to have prepared me. If my loops and short circuits, my love of elision, my Groucho Marxian refusal of irony, are an effort to explode the authority of those conventions I wish to discredit (disinherit), this constantly offers the consoling self-justification of being Art, as if I could escape the partiality of my condition by my investigation of it.” A Poetics (Cambridge: Harvard University Press, 1992), 223. Henny Youngman (1906–1998) was a stand-up comedian famous for his one-liners (“Take my wife, please”). 30. Antin and Bernstein, A Conversation with David Antin, 77–88. 31. Bernstein composed this poem in response to a symposium on the music of the great jazz pianist Thelonious Monk. Contrast Antin, in his essay on “the return of collage Modernism”: “It is possible that the weak point of this whole group of poets — Pound, Williams, Zukofsky, Bunting, Olson, Duncan, Creeley, etc. — is the metaphor of music itself, for the music they have in mind is based on a relatively conventional organization of pitches and accents” (Radical, 185). Where Bernstein and Antin come together is in their preference for the music of John Cage, with its openness to the sounds (commonly known as “noise”) that animate everyday life. 32. Bernstein, ed., Close Listening: Poetry and the Performed Word (New York: Oxford University Press, 1998), 4. 33. Allan Kaprow, “Calling,” in Happenings and Other Acts, ed. Mariellen Sandford (London: Routledge, 1995), 195–201. 34. Stein, Selected Writings, 186.